Reduce labor costs, improve productivity, and trim overhead with this galvinized nursery cart. Its high volume capacity and swift maneuverability, making this cart an invaluable in reducing your operational costs. Towbars and hitches are standard equipment for towing by hand or by vehicle; they allow you to hook multiple carts together to move even more product more efficiently. Socket assembly provides quick knock-down for shipping and handling and quick set-up. 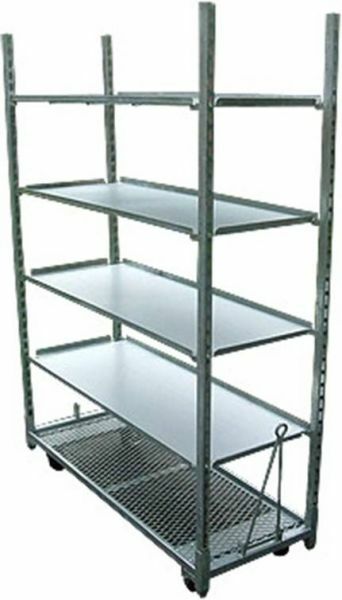 This cart can also be used for manufacturing, retail, display. 1000's in use right now all over the country.